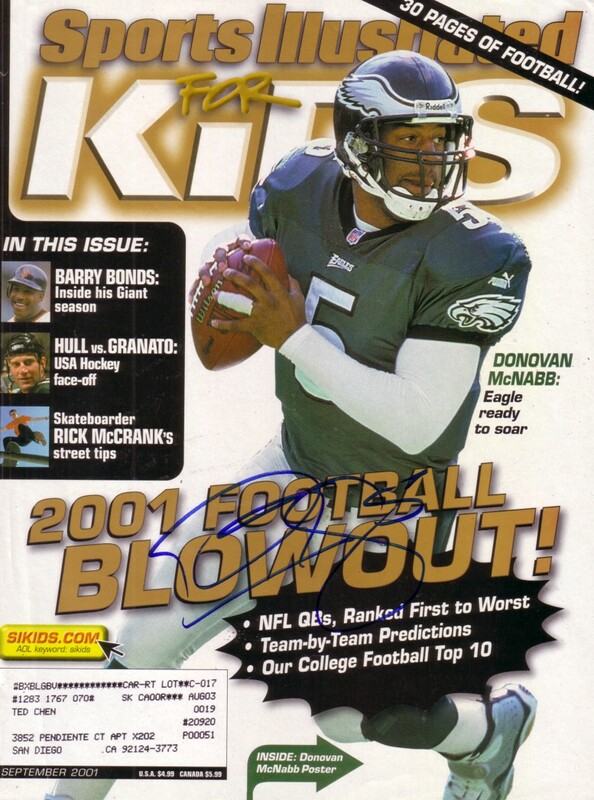 2001 Sports Illustrated for Kids magazine COVER ONLY autographed in blue marker by former Philadelphia Eagles superstar quarterback Donovan McNabb. 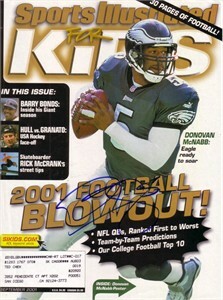 Has subscription address plus moderate flaws and wear but still suitable for framing. Obtained in person, with certificate of authenticity from AutographsForSale.com. ONLY 2 LEFT.